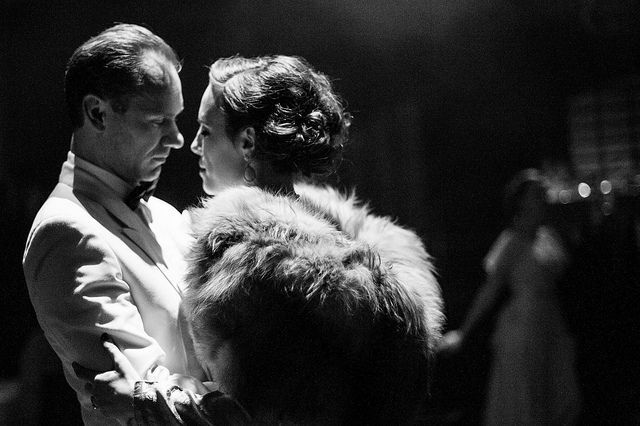 Arguably the most beautiful tribute night in the world, Future Cinema’s Casablanca pays homage to the 1940s. With queues of fur coats and dashing bibs shivering outside, there is a gorgeous moment on arrival, when the Troxy simply bursts into life. Where everyone wants to fall in love and get married in the rain. Downstairs where the émigrés gather, guests are serenaded by a Dixieland Jazz Band playing soft, melting and ravishingly iconic tunes. Strolling down the stairs for the first time is a magical experience, one you could record a million times and never recapture. Sparkling underneath a pink ornamental panel, Casablanca feels like a tribute to people who don’t go out during the day – those who live off the grid and make a living by their wits. A subversive experience infiltrated by actors. Remember not everyone has paid a booking fee to enter. Future Cinema brilliantly tap into the golden age theory in what is a profound cultural shift dictated by nostalgia. Furthermore there is now a plethora of sing-a-long nights, retrospective screenings and 1950s dance hall nights taking place – we are all collectively obsessed with the past. Whatever happened to here and now? Sartorial fashions have not ceased to exist in the twenty-first century. There are motifs of present day society everywhere you look – baby faced beards, iPhones, electro DJ sets and memes to name just a few. There is a distinctive visual culture taking place. Eclecticism, irony and peer-to-peer fragmentation will probably form a neo-future cinema event in 2090. And your life inside the black mirror will be mythologized as romantic as the cinematic émigrés of 1940s Morocco. What you are going through now is a truly fascinating experience. One that is completely unprecedented in human history – we are the glamour virgins of a new found century. Social media audiences are no longer content to passively watch an old film in silence – they now want to take part in a ‘live experience’. Everything is interactive now, even the past. By seamlessly merging real time actors with technology, unattainable worlds can now be entered like never before. And remember this is just the beginning. A new matrix is being created where the past can be endlessly revisited. 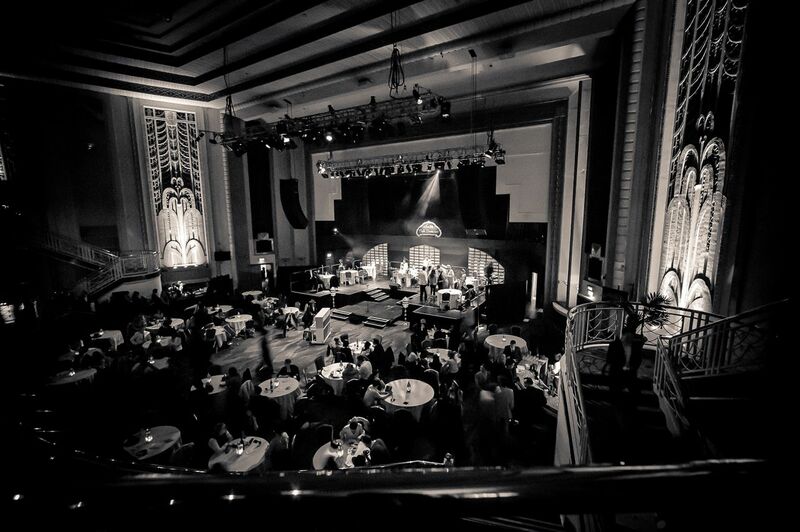 Separated from our own universe, the Troxy captures the romantic essence of Casablanca. Indeed the art deco cinemas of the 1920s and 1930s are some of the most optimistic statements ever made in stone. By transforming London’s most beautiful inter-war venue into Rick’s Cafe Americain, dressing up for a golden era taps into a strange cinematic homesickness. It’s a gorgeous experience overall, where men are gentlemen and girls are extraordinarily pretty. Just remember what happened off camera probably didn’t seem that glamourous at the time. 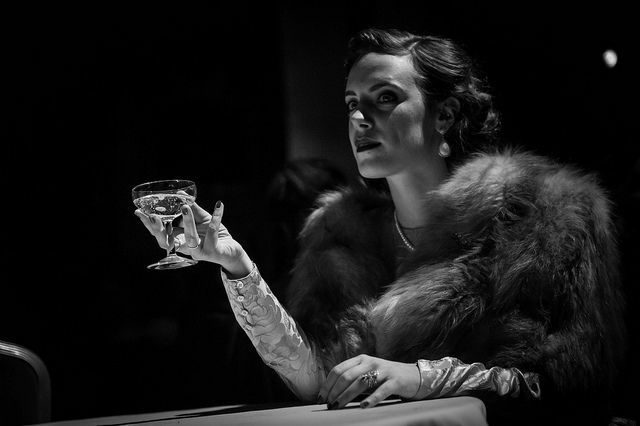 Casablanca will be running at the Troxy until March 23rd 2013.